You may have noticed that we’ve been quite busy discussing the forthcoming fall trends and planning our wardrobes accordingly. But all it takes is one step outside to remember that we’re still in the depths of summer, and pretty much the only thing that’s bearable to wear when temperatures are hovering near 100 degrees is a pair of cutoffs. If the cutoff shorts that you’ve seen celebrities frolicking around in this summer look similar, it’s because they’re all from one of the coolest denim brands around: Re/Done. The Los Angeles–based company repurposes vintage Levi’s jeans and Hanes T-shirts according to current trends, and the results are highly covetable (hence the reason it’s constantly selling out of its shorts, jeans, and tees). 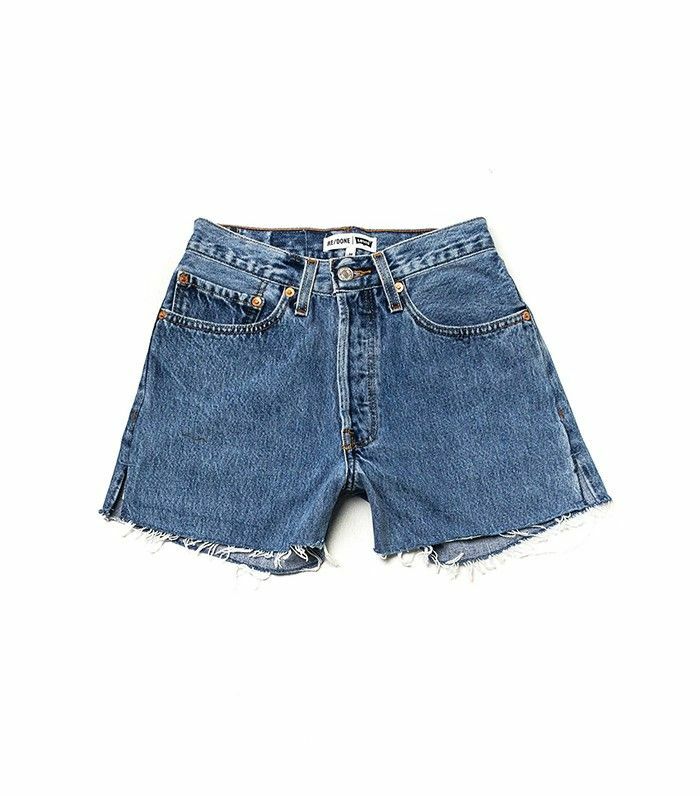 The brand’s latest restock (as of this morning) is of its celeb-favorite high-rise denim shorts, worn recently (and repeatedly) by the likes of Bella Hadid, Emily Ratajkowski, Chiara Ferragni, Alessandra Ambrosio, Karlie Kloss, and Kendall Jenner, to name just a few. The tailored shorts feature an on-trend high rise and tiny slits at the hem. Each pair is one of a kind, which makes selecting one all the more fun. Take our advice and act fast to have your pick of the selection. Keep scrolling to shop the shorts and see some of the It girls who have worn them! Check out stylish pieces to wear with your denim shorts in SHOP: Who What Wear.